People hire me for all different reasons: Building owners want to renovate and they need someone to do an interior demolition, family members die and their heirs need someone to do an apartment clean out to clean up the homes left behind, and others are moving out of their apartments and need someone to come in and get rid of junk they no longer want. But every once in a while, in my line of work, it’s not uncommon for me to come across someone who engages in compulsive hoarding, which is behavior characterized by acquiring large quantities of stuff and/or the inability to get rid of large quantities of objects. 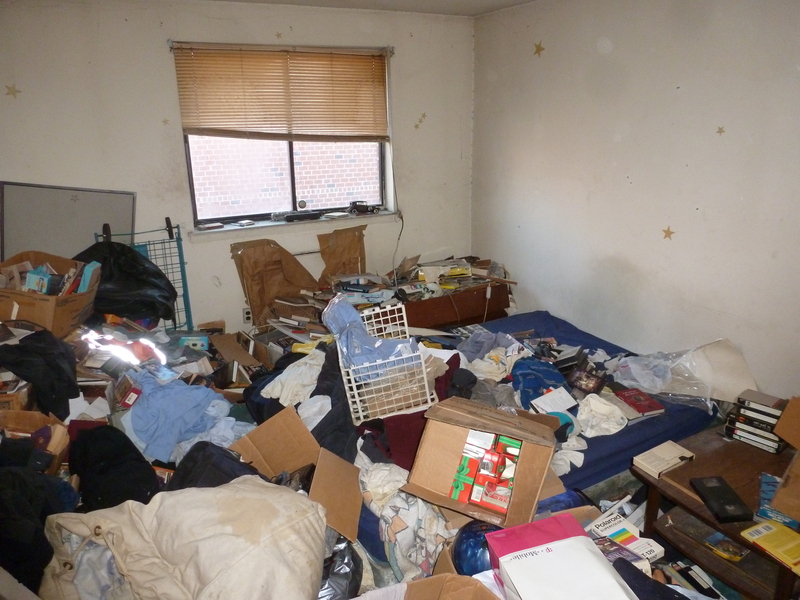 A hoarder’s belongings typically take over the home and cover the space from wall to wall, making it hard to move around in the home. This particular Manhattan garbage removal job led me to a hoarding NYC clean out job. 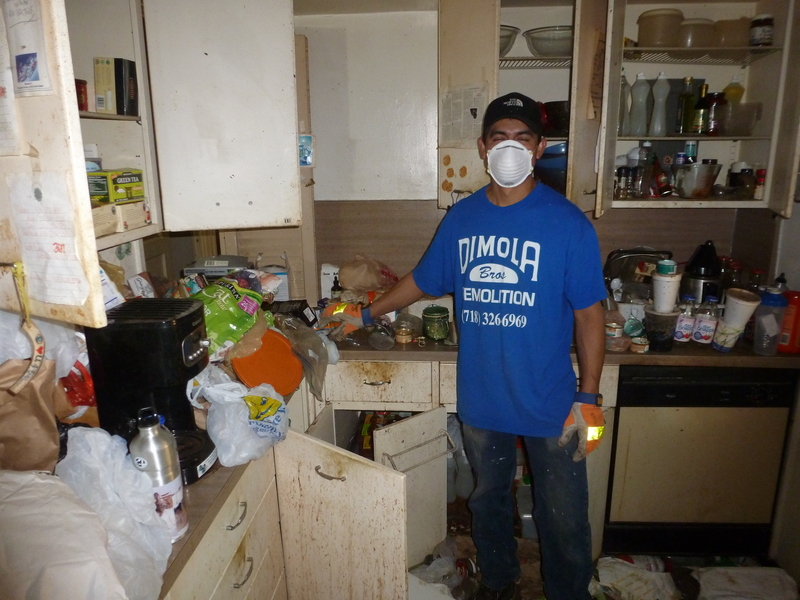 In many cases, cleaning out a hoarder’s home can be unsanitary, and this one was no different. As you can see in photo here, my crewmembers had to wear facial masks covering their noses and mouths to mask the odor. Still, cleaning out a hoarder’s home does have its advantages. For starters, we’re helping people clean out and organize their lives. 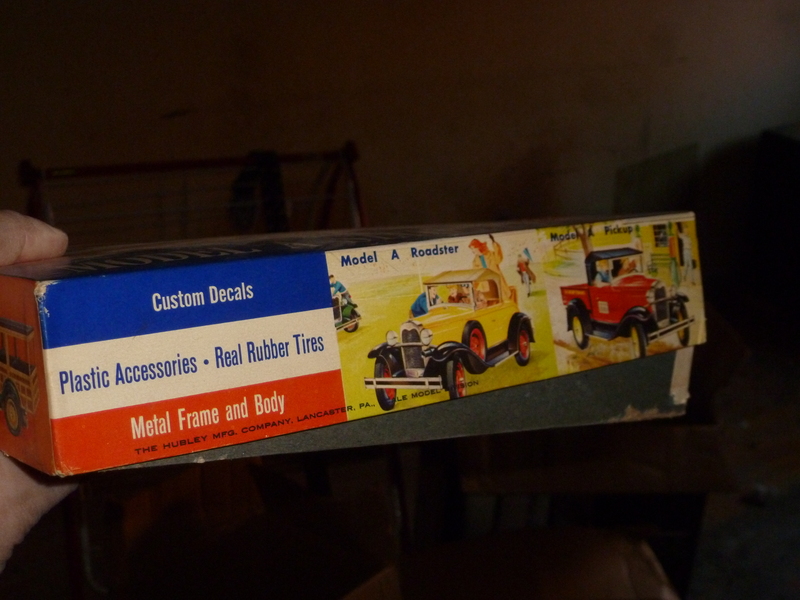 But it also gives me a chance to add vintage items to my antique collection in my Ridgewood, Queens garage. 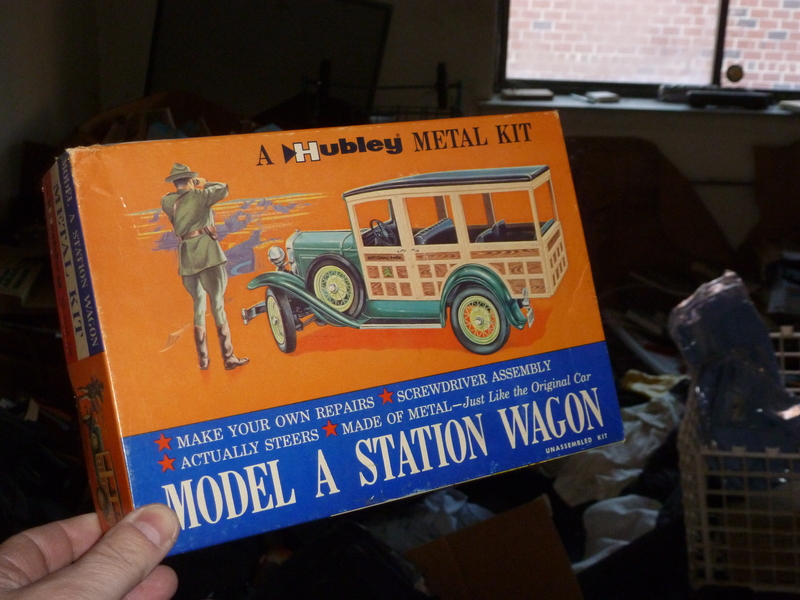 This job led to a Model A Station Wagon made by Hubley Manufacturing Company. The body and frame are made of metal, and the kit comes with plastic accessories and real rubber tires. 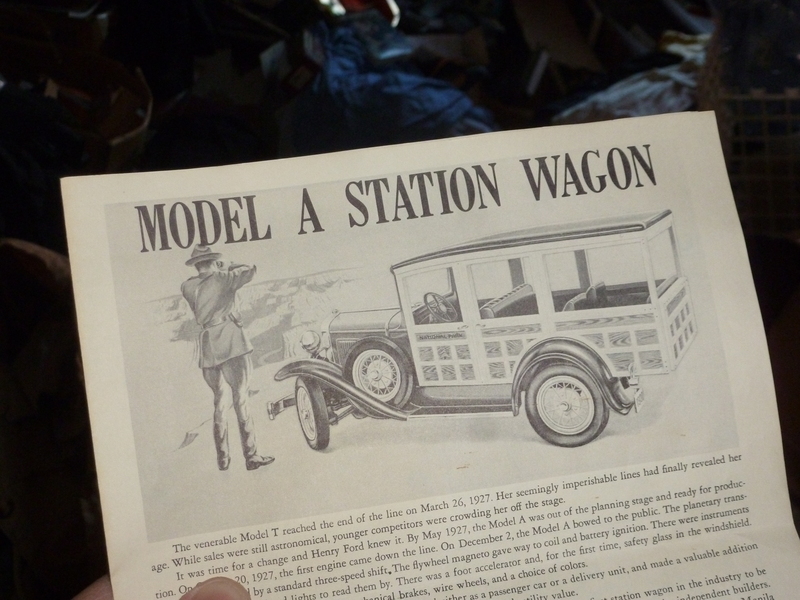 You can see on the box that they didn’t just make station wagons—the company also made pick-up trucks, roadsters and other model vehicles. Hubley Manufacturing Company was started way back in 1894 in Langcaster, Pa., by a man by the name of John Hubley. Though Hubley produced all sorts of different items, including doorstops and bookends, but they were best known for their toys, like this one. 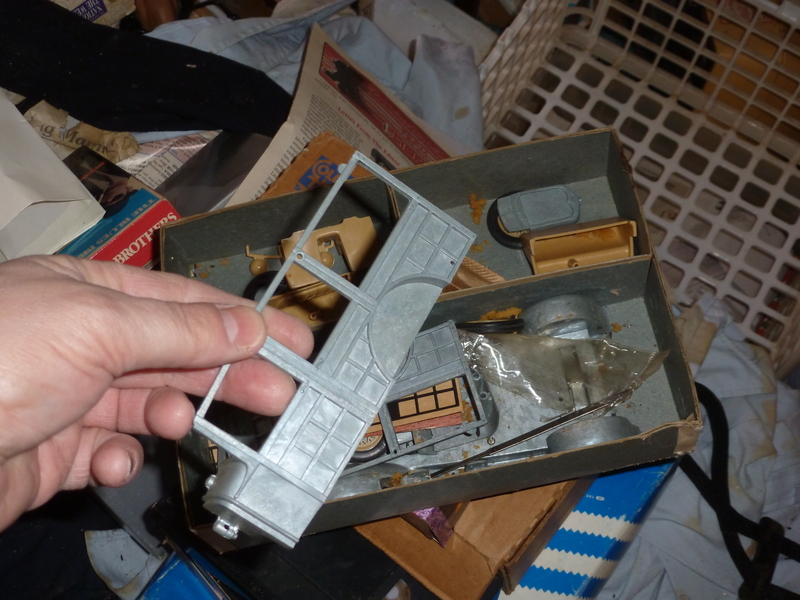 The company became known for its metal car kits in 1960. They were entering a market that predominately made plastic model cars, so their metal counterparts became popular quickly. Though they were slightly more expensive than their plastic competitors, they were much more detailed and complex in their designs, with opening hoods and doors, detailed engines, and moving phaeton panels. Hubley also produced a wide rang of aircraft models, including replicas of Word War II airplanes. In 1969, the company was bought by toy maker Gabriel, and in 1980, it was acquired by CBS Toys. CBS Toys sold many models to Scale Models and Ertl, which eventually stopped producing any models from Hubley, which eventually made Hubley model sets extremely rare, which has now made me very happy to have one. ~ by DiMolaBros1956 on January 23, 2014.